Toyota revealed the all-new 2016 Tacoma mid-size pickup truck today. 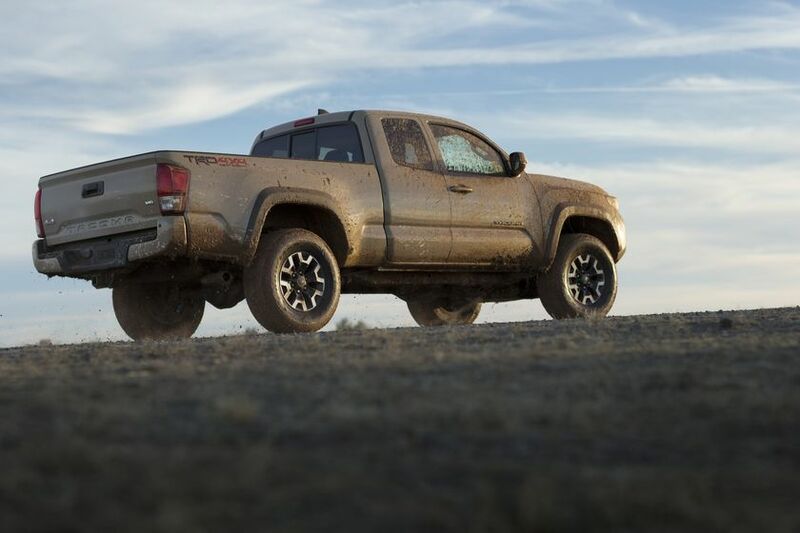 Building on past success, the Tacoma received a new more aggressive look, better handling suspension, and an all-new powertrain. The new truck was designed with the idea of being capable of off road duty without sacrificing on road civility. Power is provided courtesy of the new 3.6L V6 Atkinson cycle engine or a 2.7L 4 cylinder. Both engines come with a new 6-speed automatic, with a new 6-speed manual available with the 6 cylinder. There are 4 trim levels, all of which can be had with either in 4X2 or 4X4 set ups. For the Toyota faithful the trim level nomenclature will be familiar. The levels are the : SR5, TRD Sport, TRD Off-Road, and Limited. 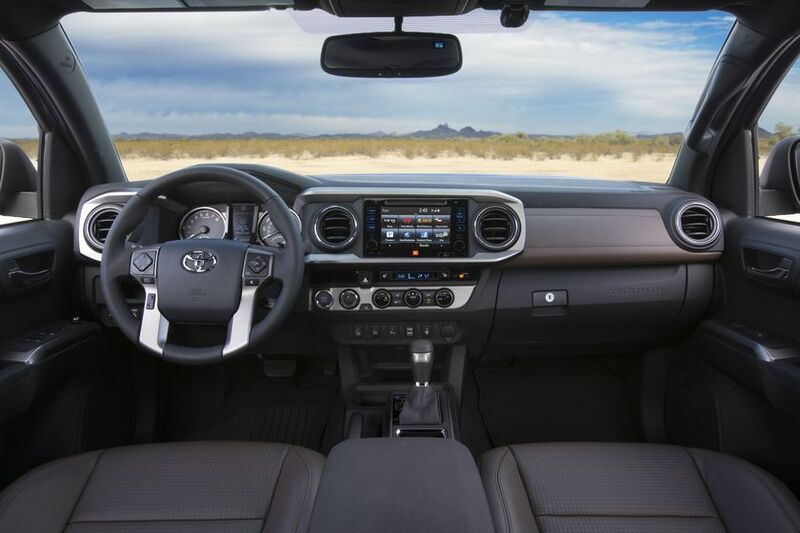 For the serious off road enthusiast the TRD Off-Road allows the driver to choose the terrain type – loose rock, mud, sand. This system regulates the amount of wheel spin by means of the brakes and adjusting the throttle. Other trail focused goodies include an automatic limited slip and locking rear differential, differential hill start assist and clutch start cancel – for manual models, active traction control, and a crawl control system. This system allows the driver to choose a speed between 1-5 mph and will keep that pace by taking over the braking and throttle control so the driver only has to think about steering. The team in charge of designing the new Tacoma looked to Toyota’s racing team for inspiration. The tall and bold new face, high stance, larger wheel wells, and long travel suspension leave no doubt that this truck means business. Toyota is making 4 new wheel designs available between 16 – 18 inch diameters. The new front features projector beam headlights and optional LED day time running lights. From the back you will notice the tailgate has an integrated spoiler. The tailgate also has a mechanism that prevents it from slamming down when opened, and for the first time ever, there is an optional tri-fold hard tonneau cover. 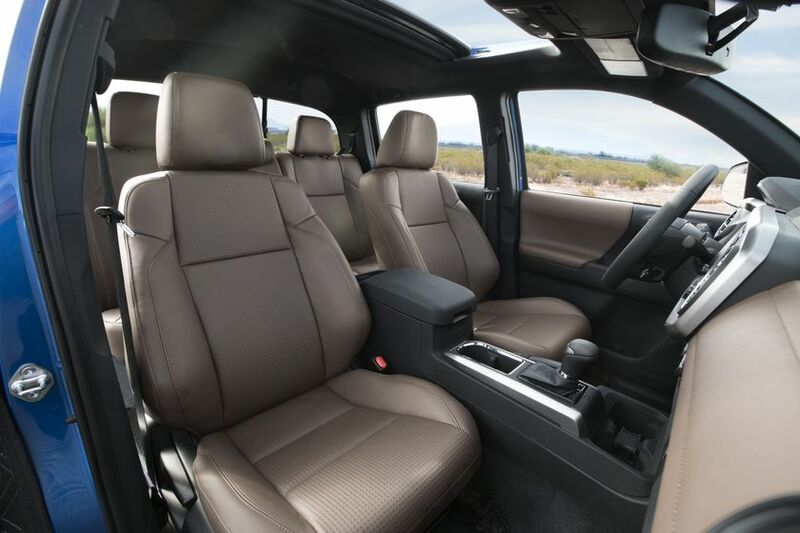 The interior is simple and truck like. The dash is broken up by 4 oval air vents, which help break the endlessly flat look. A few new technologies are optional, such as: Qi wireless charging, Smart key with push-button start, Dual-zone automatic climate control, touchscreen audio, and Blind-spot monitor with Rear Cross Traffic Alert. Overall the new Toyota Tacoma looks like a great small truck. It will take you to work comfortably during the week and then off the beaten path on the weekend without much fuss.